What types of doctors administer cortisone injections? Is a cortisone injection merely a pain reliever or temporary remedy? For what conditions are cortisone injections used? Are there special side effects that can occur with cortisone joint injections? Are there special advantages in using cortisone injections for joint inflammation (arthritis)? How are cortisone injections of soft tissues given? How are cortisone injections into a joint given? How long does it take to recover after a cortisone injection? How often can someone receive cortisone injections? How many cortisone injections can someone receive? Corticosteroids are powerful anti-inflammatory medications. Cortisone shots (steroid shot) can offer fast-acting relief of inflamed muscles, joints, tendons, and bursa. Complications are rare but may include infection and bleeding. When administered by an expert, cortisone injections offer significant pain relief from inflammation with only minimal discomfort. Corticosteroids are a class of medications that are related to cortisone, a steroid. Medications of this class powerfully reduce inflammation. They are used to reduce the inflammation caused by a variety of diseases. Cortisone is one type of corticosteroid. For the purpose of this review, "cortisone" is used interchangeably with "corticosteroid." Corticosteroids can be taken by mouth, inhaled, applied to the skin, given intravenously (into a vein), or injected into the tissues of the body. Examples of corticosteroids include prednisone and prednisolone (given by mouth), methylprednisolone sodium succinate injection (Solu-Medrol) (given intravenously), as well as triamcinolone (Kenalog), betamethasone (Celestone), methylprednisolone (Depo-Medrol), and others (given by injection into body tissues). This article describes the role of cortisone injections into the soft tissues and joints. Both localized atrophy of the subcutaneous tissues and discoloration are well known side effects of cortisone injections. Sometimes these are the desired effects of the injection, as when we inject steroids around nerve entrapments, with the intent that the atrophy will decrease the pressure on the nerve. Many different health care professionals administer cortisone shots. The specialty administering the cortisone depends on the condition being treated. For example, a primary care doctor or nurse practitioner may administer a systemic cortisone injection in the gluteus muscle to treat an allergic reaction. Orthopedic surgeons commonly give cortisone injections into a joint, such as a cortisone injection into the knee to treat knee osteoarthritis. Dermatologists treat some skin conditions with special preparations of cortisone (to minimize the risk of changing the appearance of the skin after the injection). Rheumatologists administer cortisone injections into joints to treat joint inflammation caused by rheumatoid arthritis or other forms of arthritis. Corticosteroids are not pain relievers. They reduce inflammation. When corticosteroids relieve pain, it is because they have reduced inflammation that would be causing pain. While the inflammation for which corticosteroids are given can recur, corticosteroid injections can provide months to years of relief when used properly. These cortisone shots also can cure diseases (permanently resolve them) when the problem is tissue inflammation localized to a small area, such as bursitis and tendinitis. They can also cure certain forms of skin inflammation. Corticosteroid injections given in the shoulder may cure localized soft-tissue inflammation in the shoulder, such as bursitis or tendinitis. Cortisone injections of the shoulder may be used in conjunction with physical therapy to treat rotator cuff syndrome and impingement syndrome. Injections of cortisone and a local anesthetic such as lidocaine are sometimes used to confirm a diagnosis. 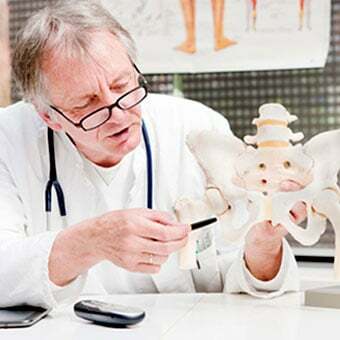 For example, if pain in the buttock and groin improves after a cortisone injection in the hip, the pain is caused by hip arthritis rather than arthritis in the low back. Epidural injections in the lumbar spine (lumbar epidural) are cortisone injections inserted into a specific location in the spinal canal of the low back by a specialist under X-ray guidance (fluoroscopy). These injections may help relieve back pain and sciatica. Epidural injections can also be given in other areas of the spinal canal to relieve upper back and neck pain. Systemic corticosteroid injections are used for more widespread conditions affecting many joints or the skin, such as allergic reactions, asthma, and rheumatoid arthritis. These injections are usually given intramuscularly, into a large muscle group such as the gluteus muscles in the buttocks, or into the deltoid muscle in the shoulder. The corticosteroid is then absorbed into the blood and travels through the bloodstream to treat the inflammation. Systemic corticosteroids can also be administered intravenously to treat more severe widespread inflammation. When a joint is swollen, joint fluid may be removed before cortisone is injected. If fluid is removed, it can be analyzed with laboratory testing to determine what caused the joint to swell. This is a big advantage as it is a powerful and accurate diagnostic test. A distinct benefit of a steroid injection is that the relief of localized inflammation in a particular body area is more rapid and powerful than with traditional anti-inflammatory drugs given by mouth, such as aspirin. A single injection also can avoid certain side effects that can accompany many over-the-counter oral anti-inflammatory medications, notably irritation of the stomach. Cortisone injections can be administered easily in the doctor's office. Other advantages include the rapid onset of the medication's action, dependability, high success rate, and minimal side effects. aggravation of inflammation in the area injected because of reactions to the corticosteroid medication (post-injection cortisone flare). Increased pain after the injection is typically due to a post-injection flare because true allergies to cortisone are very rare. Tendons can be weakened by steroid injections administered in or near tendons. Tendon ruptures as a result have been reported. Facial flushing may occur in up to 40% of cases but lasts only briefly. Sweating, dizziness, and insomnia are uncommon side effects. Nerve damage is a very uncommon side effect. In people who have diabetes, cortisone injections can elevate a person's blood sugar. In patients with underlying infections, cortisone injections can suppress somewhat the body's ability to fight the infection and possibly worsen the infection or may mask the infection by suppressing the symptoms and signs of inflammation. Generally, cortisone injections are used with caution in people with diabetes and avoided in people with active infections. Cortisone injections are also used cautiously in people with a bleeding disorder. a rare but serious type of damage to the bones of the large joints (avascular necrosis or osteonecrosis). Cortisone injections into a joint may have side effects in addition to those described above. 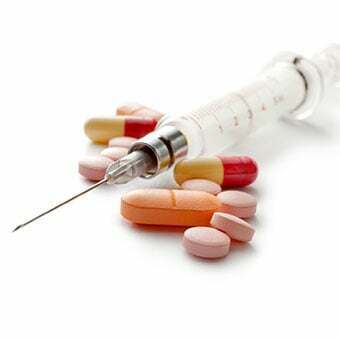 Unique side effects of joint injections involve injury to the joint tissues, particularly with repeated injections. 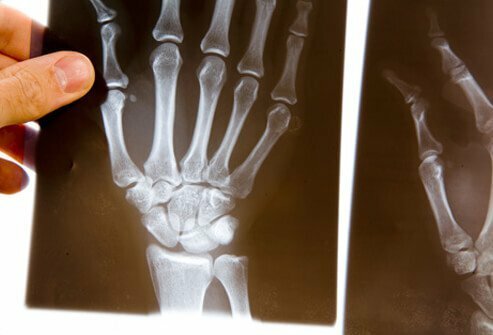 These injuries include thinning of the joint cartilage, weakening of the ligaments of the joint, increased inflammation in the joint (arthritis) due to a reaction to a corticosteroid that has crystallized, and introduction of infection into the joint. Cortisone injections into a joint can be beneficial in rapidly reducing joint pain while restoring function to a body part immobilized by inflammation, such as an arthritic knee or elbow. This might be particularly important in certain circumstances, such as the gainful employment of a family breadwinner or someone who lives alone. Despite potential and infrequently reported adverse reactions as described above, it is generally felt that low, intermittent doses of corticosteroids pose little risk of significant side effects. Cortisone injections into a joint also can decrease the inflammation in diseased joints throughout the body when the corticosteroids are absorbed from the joint into the circulation. The medical professional administering the injection draws up the corticosteroid into a syringe. A local anesthetic (such as lidocaine) may simultaneously be drawn into the syringe. Next, the area to be injected is selected. Typically, the skin over the area to be injected is sterilized with a liquid solution, either alcohol or Betadine. Sometimes, the area is topically anesthetized by rapid cooling using a spray such as ethyl chloride. The needle of the syringe then is inserted into the tissue to be injected and the solution is ejected from the syringe into the area of inflammation. The needle then is withdrawn, and a sterile bandage is applied to the injection site. The method of administering a cortisone injection into a joint (intra-articular joint injection) is similar to that of soft-tissue injections. Betadine, however, is more commonly used for sterilization of the skin over the joint. This is an important precaution to prevent introducing infection into the joint. Furthermore, if there is an excessive amount of fluid within the joint, it often is removed first with a separate syringe and needle prior to injection of the cortisone. Removal of this joint fluid allows the doctor to examine the fluid and submit a sample to the laboratory for diagnosis. Removal also rapidly relieves pain by reducing the pressure in the fluid-filled joint. Finally, removal of fluid may allow the joint to heal more quickly. 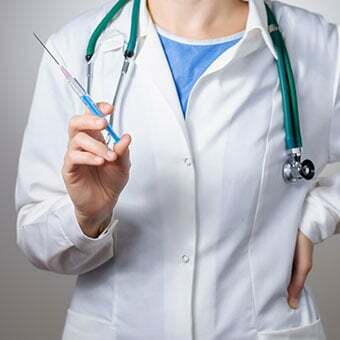 After a health care professional removes the fluid, he or she injects the cortisone medication into the joint, sometimes along with an anesthetic such as lidocaine or bupivacaine (Marcaine). Some health care professionals use an ultrasound to guide the needle into the exact location desired prior to injecting the cortisone into a joint (injection with ultrasound guidance). Recovery after a cortisone injection does not take long. Resting the joint after the injection is important to allow the inflammation to decrease. Formal exercise involving the injected joint should be avoided for several days after the injection. In an expert's hands, the opposite is more often the case. 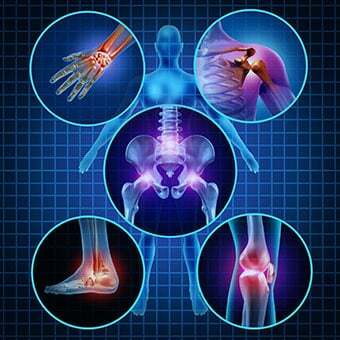 That is, minimal pain from the procedure is noted while relief from the pain of the inflammation occurs rapidly. Occasionally, cortisone injections of joints that have degenerated (become damaged) or that are particularly small (such as finger joints) can be associated with temporary minor pain at the time of the injection. This is not generally expected. Less frequently, nerves can be irritated, either directly by the needle during the injection or by the corticosteroid medication. Again, pain after the injection is not common or anticipated. At times the relief from a cortisone injection begins almost immediately after the procedure, but it can take a few days for relief. 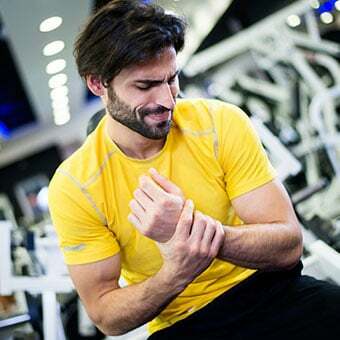 A cortisone injection administered for certain conditions may be curative (such as for certain types of bursitis or mild trigger finger), but with some conditions the symptoms of the condition recur after weeks or months. In this situation, another cortisone injection can be given, but risks of side effects increase with more frequent or regular injections. How often cortisone injections are given varies based on the reason for the injection. This is determined on a case-by-case basis by the health care practitioner. If a single cortisone injection is curative, then further injections are unnecessary. Sometimes, a series of injections might be necessary; for example, cortisone injections for a trigger finger may be given every three weeks, to a maximum of three times in one affected finger. In other instances, such as knee osteoarthritis, a second cortisone injection may be given approximately three months after the first injection, but the injections are not generally continued on a regular basis. There is no absolute maximum number of cortisone injections that a person may receive. The risk of side effects increases as the number of injections increases, and so the risks and benefits of each injection are considered carefully prior to administration. It is unusual to give cortisone shots in the same location on a routine basis. Arthritis Foundation. "Injections and Procedures for Knee Pain." <https://www.arthritis.org/about-arthritis/where-it-hurts/knee-pain/treatment/knee-injection.php>. McNabb, J.W. A Practical Guide to Joint & Soft Tissue Injection & Aspiration. Philadelphia: Lippincott Williams & Wilkins, 2005. Ruddy, S., Harris, E.D., Sledge, C.B., Kelley, W.N., eds. Kelley's Textbook of Rheumatology. 9th ed. Philadelphia: WB Saunders, 2013. Please describe your experience with a cortisone injection. What side effects (if any) did you experience with your cortisone injection? Share your experience with cortisone injections in your hip or knee. Diagnosed with bursitis? Learn about treatment and prevention for trochanteric bursitis, as well as hip, knee, shoulder and other bursitis types. Learn about a rotator cuff tear. What could it mean if you have rotator cuff pain? Explore rotator cuff tear symptoms, causes, and surgery.